Cowboys Pre-Season Kicksoff…..LA Here I come! LA better be cooled down by the time I get there Wednesday afternoon for my 3rd consectutive DC Camp Personal Retreat….and it will be the last, cause next year it’s back to hot and muggy San Antonio!!! Yea, I am leaving the wife and kiddos behind…but this is once a year where I can leave the business and the rush of life behind for a few days. What do I do? Well, let’s see….. I take my laptop with me….tune in to theticket.com via my wireless connection (since they broadcast from practice each day) and listen to what they think, as I sit in the stands with about 200 others and watch the Boys get coached, drilled and ran to death. I sit and watch two practices each day in the relaxing cool breeze of Oxnard…then I might head into LA for some sightseeing or another drive through Beverly Hills which is always fun…. Then I do it again the next day and leave on the 3rd day…..not much more than that! It’s truly hard to believe how fast this summer has gone by…..the NBA season is over, the Rangers and Astros are halfway done with another year of ball and Cowboys training camp starts next week! Our girls will be ONE YEAR OLD in just a few more weeks!!!! Lots of changes with the business. Too much to say here because now this blog is listed on Google! But, trust me, things are nuts. A 4th of July Blowout! What an amazing day this 4th of July was. Full of great moments with friends and family! Even the Space Shuttle Discovery took off for the 1st time on the 4th ever! We took part in the City of Arlington Parade, which is the largest in the state, as members of Arlington Mothers of Multiples (yes, I guess we are both mothers in some sense). 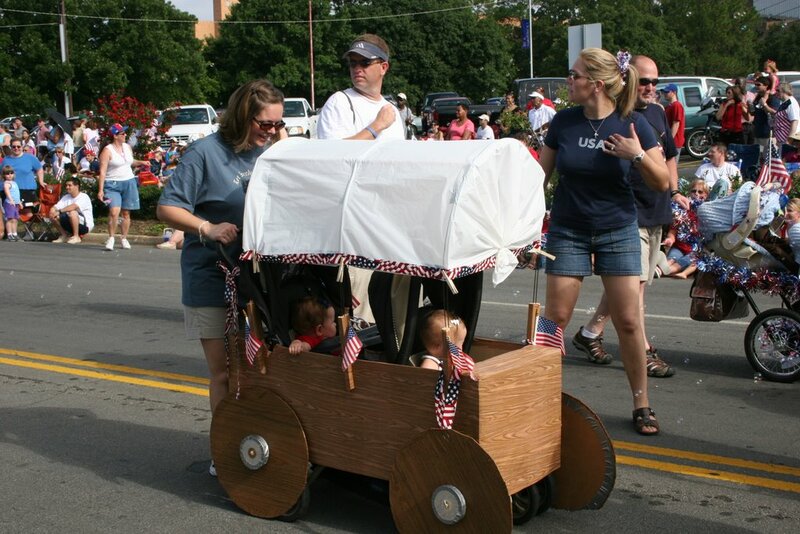 Thanks to the girls great grandmother Kat, we were one of the hits in the parade with our “Covered Wagon” Stroller for two! Thousands applaued as we walked the 2.5 mile route and sweated our rears off. Chloe even made the NBC5 news story about the parade! 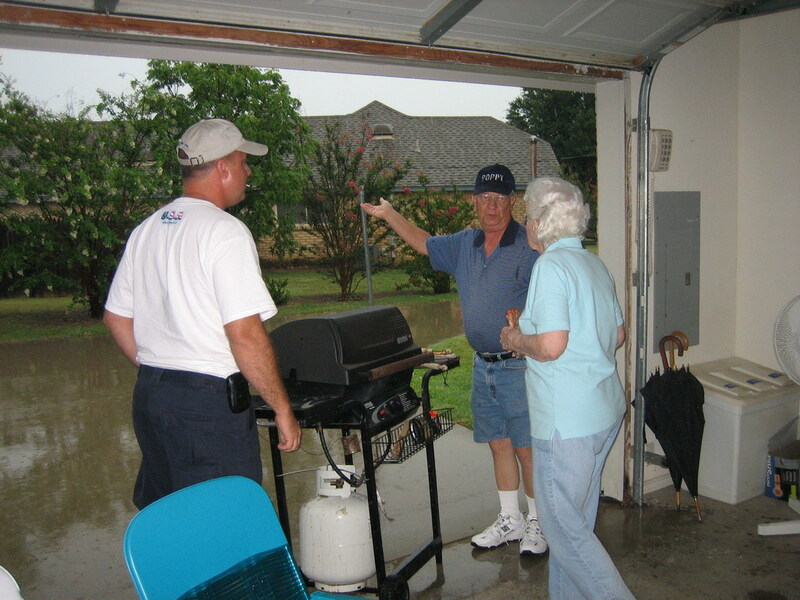 We ended the day in a rained out cookout in Grandma’s garage and watched the Lake Joe Pool fireworks from our upstairs gameroom window….what a day! Check out our 4th of July slideshow! It will give you even more great shots!